Tap the Android System icon the select Transfer files. 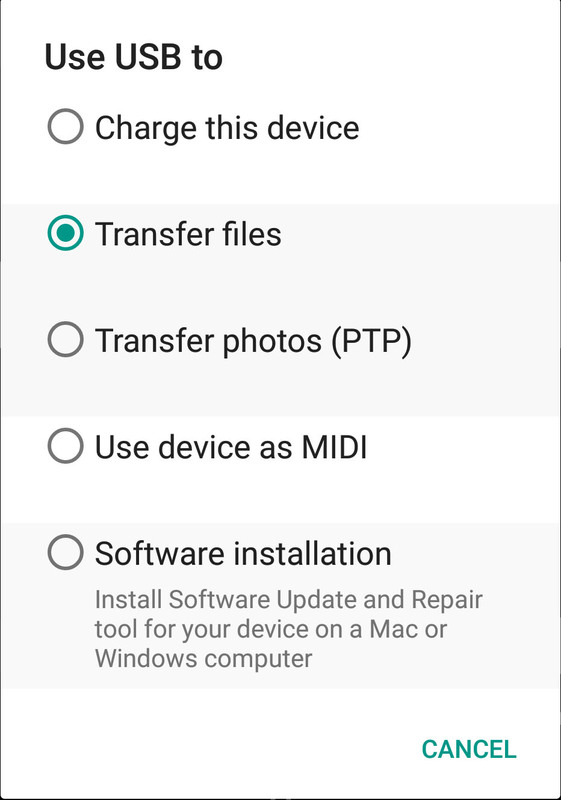 Using File or Windows Explorer, navigate to: moto (g)6 > Internal shared storage > Music. moto (g)6 is located in the Devices and drives section.